Aries need – to feel well – challenges. Constantly Aries is full of tension and try to get power over any projects and they long for control. Persons that have the moon sign Aries (♈) are famous for their strong emotional reactions. They are impulsive and easy excitable. They tend to fast aggression and they are short-tempered. But this state of mind does not last for a long. But their impulsive reactions will be gone with the wind. They are really emotional but by the way they are not really sensitive. Aries is not sensitive to person opposing and romanticism is not his part. Aries need – to feel well – challenges. Constantly Aries is full of tension and try to get power over any projects and they long for control. They save their energy for things, persons, plans and projects they believe in and so they get satisfied and feel well - then they are happy. Just one case makes them feel more satisfied: to be in the centre of tributes and compliments. Persons are fond of Aries’ company. People feel good surrounded by the moon sign Aries because his optimistic sight and cheerful heart catches the next. Aries is not pleased to be confronted with critiques – in this case strong and challenging moon sign Aries reacts unexpectedly sensitive. 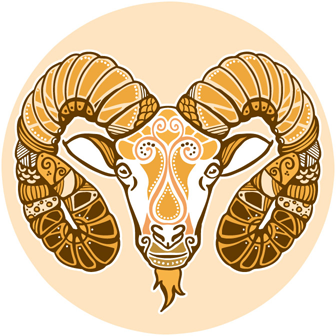 Moon sign Aries is fond of liberty and freedom, but affection and family affairs are important to them. Aries needs an independent partner who respects their desire for freedom and is able to handle their energy as well. Within a relationship Aries are honest and affectionate – they have the ability to share their feelings. Click here to calculate your moon sign .